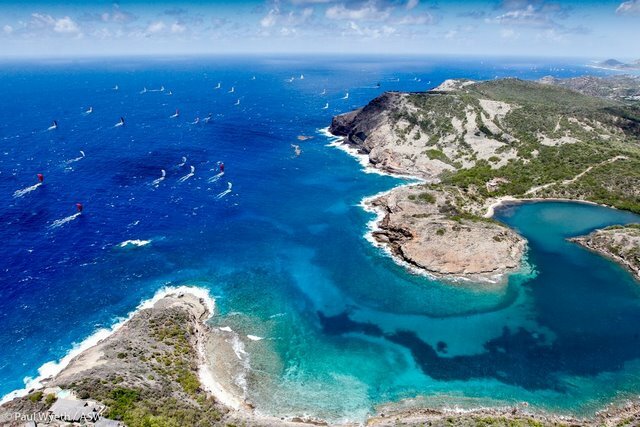 Global Bank of Commerce Day at Antigua Sailing Week is all about supporting aspiring youth sailors. The Youth to Keelboat Programme (Y2K) was launched in January 2018 by the Antigua & Barbuda Sailing Association (ABSA) in conjunction with Antigua Sailing Week. The programme is aimed at giving youths aged 16-25 years keelboat experience during Antigua Sailing Week. Thirteen young sailors are competing in just about every class at Antigua Sailing Week, thanks to the Y2K programme. 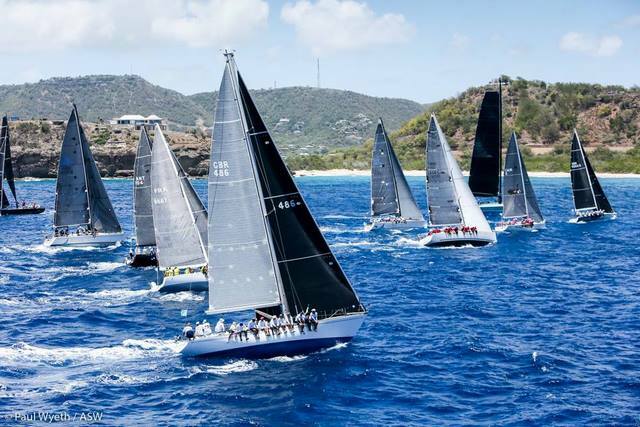 Over the past few years, hundreds of young sailors have learnt the sport through the National Sailing Academy and the Antigua Yacht Club - that grass-roots development is now bearing fruit. Leading CSA 7 with a string of four bullets is the National Sailing Academy's Cork 1720 Spirit, skippered by Jules Mitchell. Only a shredded spinnaker in Race 5 has dented their perfect scoreline. The teenage team are all from Antigua and have grown up together and that camaraderie and natural understanding shines through, which is truly inspirational. Three of the team have already competed at the Sailing Youth Worlds. Jules Mitchell now aspires to represent Antigua & Barbuda in the Laser and Rocco Falcone and Louis Bavay have aspirations in the 29er. The Grieg City Academy from the North London comprehensive school have a team at Antigua Sailing Week that are just 14-17 years of age. Having never sailed in Antigua or in a Cork 1720 and have taken time to get to grips with the complexities and heat. However, today the young team scored a third place and took a bow on the stage at the daily prize giving. "We are not used to this type of boat but today we hiked harder and trimmed the sails a lot better and got the boat to surf. To come third and get on the stage in front of all these sailors from all over the world was just amazing," commented Jamal. Azat on the bow commented: "I got really wet today but the water is warm and so is the sun, so it didn't bother me one bit. To get up on the stage was nerve-racking, but this is a big accomplishment. We have only just started sailing and we just love it. After racing we all get back out in the dinghies at the National Sailing Academy; we just can't get enough." 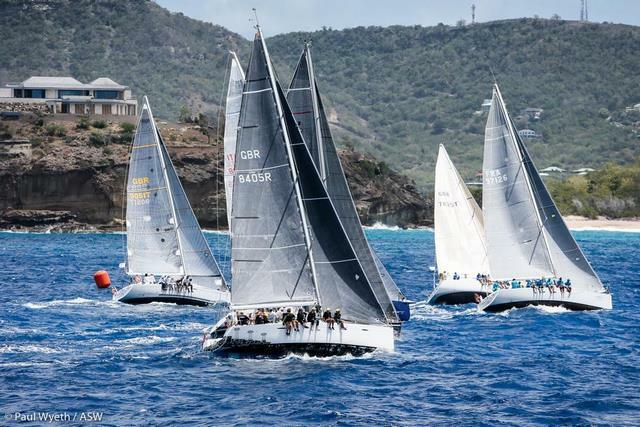 Day Three of Antigua Sailing Week was blessed with heaven-sent conditions. The first of two starts was affected by cloud cover with more unstable gusty conditions. Later in the day the tropical sun burnt off the low cloud and the trade winds blew a steady 18 knots across both race courses. 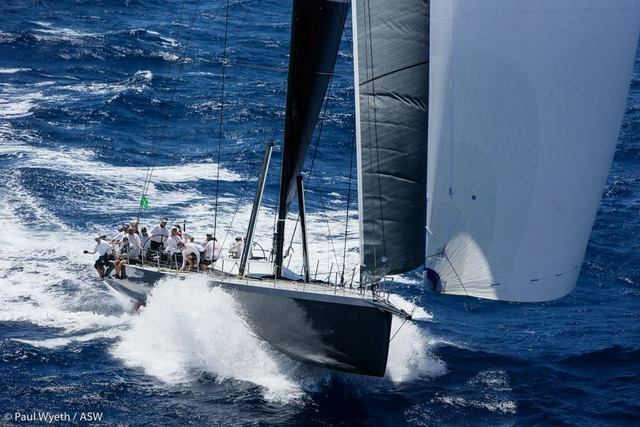 Race 5 marked the halfway point in the scheduled ten race regatta and leaders are emerging in all of the 13 classes. 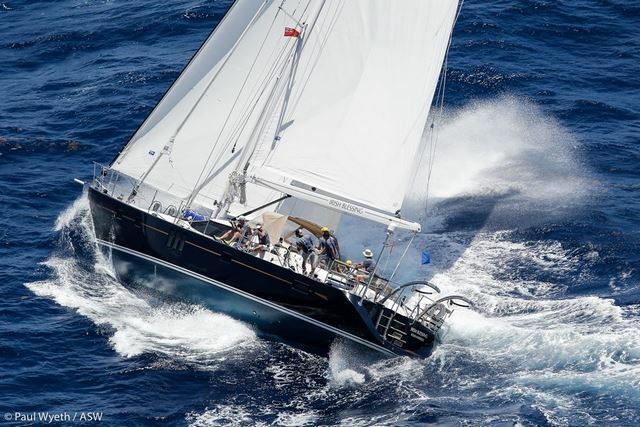 Peter Harrison's superyacht Sojana remains unbeaten in CSA 2, as does Jonty Layfield's Swan 48 Sleeper X in CSA 5. In CSA 1, the turbo-charged American Volvo 70 Warrior, sailed by Stephen Murray Jr. revelled in the big conditions on the Windward Beach course, romping through the surf to score two bullets to open up a five point lead on Stefan Jentzsch's German Carkeek 47 Black Pearl. Brian McMaster's Australian Cookson 50 Riff Raff is third. In CSA Three, OnDeck's Farr 65 Spirit of Juno skippered by Arran Chapman has opened up a commanding lead, but the day belonged to Juan Grunwaldt's Bavaria 56 Caliope, winning both of today's races. The team are all from Uruguay, proudly racing for the Yacht Club Uruguayo. 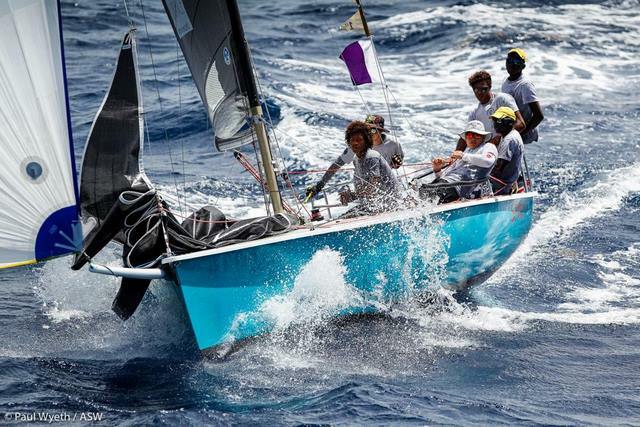 Bernie Evan-Wong's Antiguan RP37 TAZ really got their mojo going, scoring two race wins to take the lead in CSA Four. An intense battle has developed in CSA 6. Frank Loubaresse's French Sunfast 3600 TwinL Jaws 2 is leading with a consistent set of results. It is tight at the top of the class with victories today for Carlo Falcone's Antiguan flagged Caccia Alla Volpe and Peter McWhinnie's American JPK 10.80. Just 3.5 points separate these top three. "Any one of the three of us can win the class; it is exciting close racing. We were over the line at the start for the last race and we had to fight back, so we are happy to still be in the challenge. After the next race a discard applies, so we are really only 1.5 points behind. This is great racing," exclaimed Carlo Falcone, Caccia Alla Volpe. 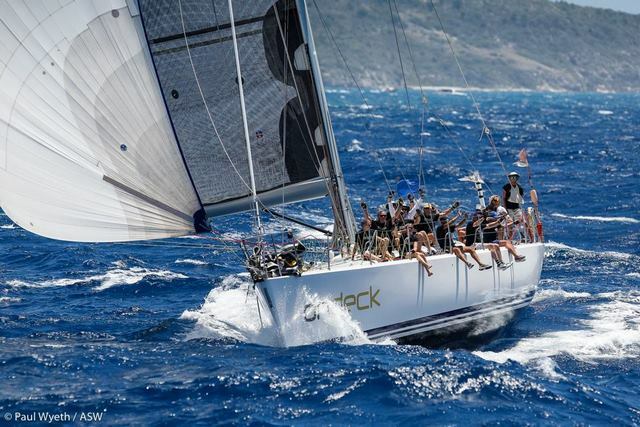 Sailing always comes first at Antigua Sailing Week and three days of ripping through world class conditions has been an absolute grin. However tonight, international Reggae artist Tarrus Riley will perform in Nelson's Dockyard to thousands of party-goers. Supporting Tarrus Riley will be Spirited, led by Curtley Ambrose - the best cricket bowler in the world with 405 wickets for the West Indies - who is a mean bass guitarist. The Strays will also be performing cool, beat driven Lovers Rock. DJ Private Ryan and DJ Puffy will be on hand to wind up the crowd to a frenzy. Wadadli Beer Lay Day will follow tomorrow, Wednesday 2nd May with all manner of fun activities on Pigeon Point Beach, including dinghy racing, bars and grills and seven DJs - Wicked Good!